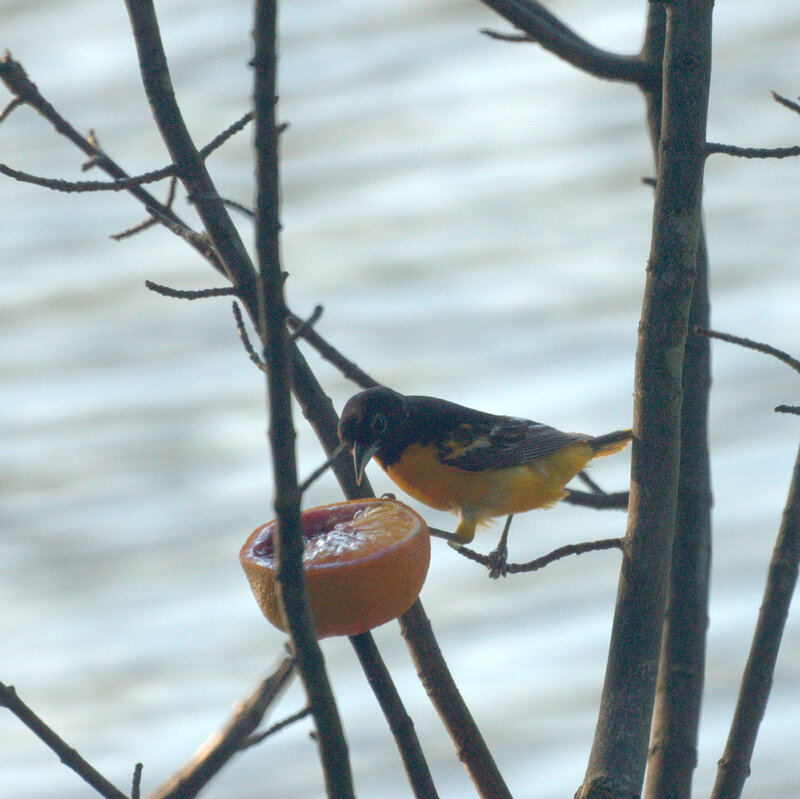 The Baltimore Orioles have returned and are occasionally feeding at the oranges or jelly. This one is at one of Chris' orange halves with some of the orange scooped out and replaced with grape jelly. She tries hard to accomodate different tastes. We are still hoping for an Oriole nest. That's neat. We only rarely get hummingbirds, but we saw one at the oriole feeder briefly last week.